I know several people who regularly attend the open houses of for sale homes. While some of them are always on the look out for the perfect home to move into, generally it’s the ultimate in window shopping combined with HGTV voyeurism. Meaning, it’s a great hobby to have! What if you’re really into mid-century modern homes? How would you like if 10 of them were all open on one day? It’d be like a parade of atomic age goodness, or in the parlance of 1950s’ newspaper real estate sections, a “Parade of Homes”! This Sunday, May 22, 2011, from 1 -4 PM that’s exactly what’s happening. 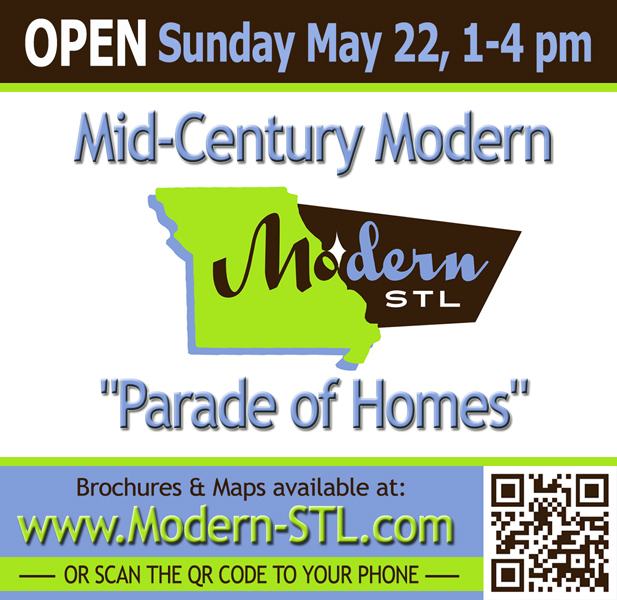 Modern StL board member Ginger Fawcett enlisted fellow real estate agents with mid-century modern listings, and they’ve banded together to have them open and free to the public for 3 hours. Lately, when a choice MCM goes on the market in St. Louis it gets snapped up pretty quick, so coordinating 10 properties like this at one time is a rare feat. It is also the first such event in St. Louis. Lots of groundbreaking here! See photos, listings and maps of all the open homes here. Look for these signs at the entrance to neighborhoods and in the yards of the for sale homes, and enjoy! Why Do Realtors List Mid-Century Modern Homes as Teardowns? 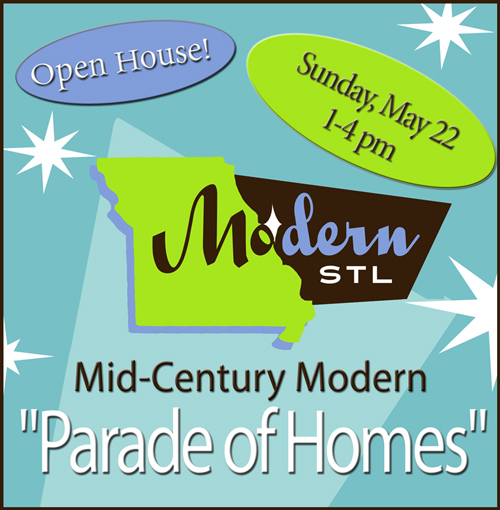 This entry was posted in mid-century modern residential, special events and tagged ginger fawcett, mid-century modrn for sale, Modern StL, parade of homes by Toby Weiss. Bookmark the permalink.